With all the right advice and support, We feel pride in our high quality website designing that create a 'first impressions last' environment. We design and develop websites at a competitive price to ensure that individuals & business customers can afford it. We build the websites using latest technologies i.e. WordPress, Joomla, Magento, Drupal, HTML5, PHP, MySQL & CSS. Turnaround time is typically 1-3 weeks, depending on the scope of your website. Our website packages are loaded with incredible features to make your site attractive to customers. Website hosting is included with all packages as well. We provide website designing service to all major cities clients of UK including London, Birmingham, Leeds, Glasgow, Sheffield, Bradford, Liverpool, Edinburgh, Manchester, Bristol etc. Portals are the primary interface through which employees, customers, suppliers and partners interact with or consume services. As a result, portals have become the most empowering strategic application framework for enterprise IT solutions. TechPlus offers a wide range of services to meet the business development portal for companies of all sizes. We are able to supply you with an innovative, trustworthy web portal solution to complement your business ideas. Website Design at its best! Responsive web design is a method of developing your website so that it automatically adjusts to the screen size and device used to view the site. Responsive Design prepares websites for the future of modern website design by making them beautiful across multiple devices. We make sure that our responsive websites are beautiful across all devices. A CMS or a 'Content Management System' quite literally allows you to control and manage the content within your web site - without technical training. Using this uncomplicated system you can very easily add, delete images and edit text in your web site on the fly. You can also have an unlimited number of pages and a full site-search engine. 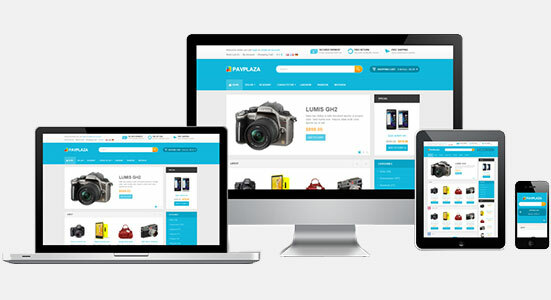 That's why we design websites using wordpress, joomla, magento, drupal, opencard, prestashop and osCommerce cms. Clients who choose .com and pay for 3 years in advance will receive the domain name for free with website designing. Our website completion time is among the fastest in the industry. Our expers will do this in just 1-3 weeks. Unlike our competitors, we don't have any hidden cost. Our prices are simple and economical. We provide website redesigning service for all major cities clients of UK including London, Birmingham, Leeds, Glasgow, Sheffield, Bradford, Liverpool, Edinburgh, Manchester, Bristol etc. With our user-friendly content management system; you can easily manage your website contents. We back up all data (including email accounts, websites, and settings) every day to both local and remote servers. We install AwStats and Webalizer in every website. This provides comprehensive web statistics in graphical representation. Our user-friendly and intuitive web based file manager makes it easy to manage your website documents, videos and archives. Website will be full compatible with computer, laptop, tab and mobile phone screens. When website is down, your business is down. TechPlus offers 100% uptime guarantee for website designing plans. Our technical and friendly staff is available 24/7 to solve all of your technical problems via phone, email and ticket. We normally complete website design work within 2-4 weeks. What kind of technology do you support? How many changes can I make to my site without additional cost? We give as much latitude as we possibly can. After you've identified the general format and color schemes of your preferred design, we'll complete up to 2 rounds of major revisions at no charge. All minor revisions are provided at no charge. Are any other services included in your web design cost? Yes. Our web design and development service includes configuration of your domain registration, web hosting, email accounts and basic search engine optimization services. Do you offer any design templates? 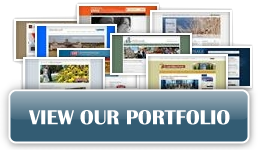 We offer numerous website design templates. You can choose any and we'll design your website accordingly. We take 25% advance payment and 75% payment when website is launched and client is happy with it. Can i make some changings after website is uploaded? Yes! You can make any kind of changings yourself as we develop all websites using CMS and provide administration control panel to the clients. What is the best approach for content maintenance on my site? There're three options available for maintaining and refreshing your site content. We don't care which option you choose, but we strongly encourage you to update your site regularly.